The top five signal callers in CIAA football. The CIAA will hold its Media Day in Salem, VA on July 20. 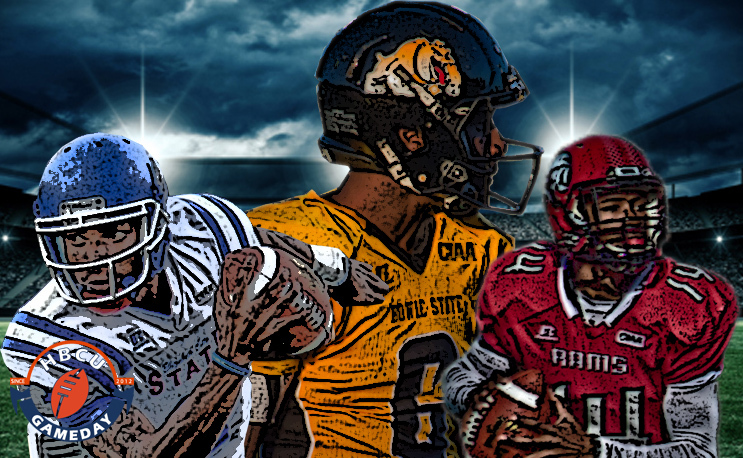 We’ll look ahead at the top quarterbacks, running backs and receivers in the conference leading up to Thursday. This time a year ago, not many people outside the DMV knew who Amir Hall was. Nyema Washington was expected to be the guy after leading Bowie State to the CIAA Championship Game and the NCAA D2 playoffs in 2016. A preseason injury sent Washington to the sidelines and placed BSU’s hopes in the hands of a player who had never seen the field in college. Nearly 3,600 yards and 30 touchdowns later, Hall has a CIAA Offensive Player of The Year Award under his belt after leading the team back to the title game in 2016. BSU fell to Winston-Salem State again, but Hall came up with nearly 400 yards of total offense and four touchdowns despite injuring his leg in the first half and missing significant time. The 6’4 junior will be without Nyme Manns, who caught the bulk of his 268 completions last season. BSU has several other pass catchers who will have to step up, including Brandon Britton and Geordan Clark. He’ll also have running back Rob Chesson, who may be the most underrated back in the CIAA. Playing in a place with high expectations has its downside as well as its obvious advantage. Tinsley has led WSSU to back-to-back CIAA titles and a NCAA playoff appearance in his first two seasons. At most schools and in most conferences, that would make him “The Man.” But that just isn’t the case for the Charlotte native, as indicated by his placement on this list. Tinsley got off to a slow start in 2016, throwing for just three touchdowns to five interceptions in his first four games. He and his team managed to rebound, however, as he threw for 15 touchdowns and just three picks the rest of the way to help WSSU claim the CIAA title. The final two games of his season were indicative of his career to this point. WSSU won the CIAA Championship Game 44-31 and Tinsley threw for three touchdowns, but he also completed less than 45 percent of his passes. A week later in the playoffs, Tinsley threw for a career-high 278 yards and two touchdowns, but also threw two picks. We’ll have more on Tinsley before the start of the season. ECSU turned out to be the surprise of the CIAA last season, keeping itself in the race for the North title until the final week of the season. Neal had a big hand in that, throwing for better than 2,000 yards and 15 touchdowns. He did, however, turn the ball over 10 times on interceptions and completed less than 50 percent of his passes. But he’s also a dual threat, which just gives defensive coordinators one more thing to worry about. These two both saw significant time under center in Richard Hayes’ first year in Fayetteville. While neither put up world-beating numbers, they combined to throw for 11 touchdowns to 10 interceptions and completed well over 50 percent of their passes. Both will be back in 2017, so it will be interesting to see whether there is a true competition or whether both will see considerable time. It was another tough year for St. Aug in 2015, but Johnson was certainly a bright spot. A gifted athlete, Johnson was just as likely to make a play with his feet, as he led SAU in rushing with 432 yards. He threw for 13 touchdowns to just 9 interceptions, but his completion percentage leaves something to be desired. What about Cook from VSU? Fayetteville State's new basketball coach is no stranger to the CIAA or championships.